Information on vending related topics, such as vending machines, vending news, vending tips curated by Seaga, the premiere world-wide vending producer. The vending machine is a staple of modern automated retail, often found where hubs of people collide in their daily routes around the world. The inherent convenience advantage is the integral draw to a vending machine, though younger demographics prefer the “no interaction transaction”, leading to a growing popularity of vending. This is at odds with the classic all-cash industry standard since this growing demographic prefers plastic (credit cards) over paper (cash). The challenges faced by the current vending industry in this transition to cashless are numerous, as vending struggles with a high per transaction fee. Such fees occur every time a credit card is processed, but most transactions are of such higher revenue margin it is only impacted in the most minuscule of ways. The classic vending business model faces the problem of absorbing these fees while maintaining profitability as their volume of transactions and low over-head cost have historically enabled the small vending operator to invest. The technological advancements in automated retail have transformed the face of vending from an antiquated industry to a forward thinking industry bent on showing the world how diverse your “simple” vending machine can truly be. Everything from bikes, cars, and even live crabs has been vended successfully in the modern age of vending. Here are some of the most unusual vending machines in the world. In the East, the popularity and technology of vending machines is paramount to a different culture. Japan for instance has one vending machine per every twenty-three people, and most of these machines are outfitted with a variety of hi-tech gadgets to amuse and delight the customer. They are enabled this luxury due to an integral cultural difference-- the low vandalism rate, which forces many vending operators in the West to consider security before amusement. Vending can be a very stable source of income when approached as a true business, and run with the same intensity that all businesses require. The low startup costs enable many people to get into the vending industry and succeed. This is perhaps one of the greatest advantages offered by the modern vending machine’s appeal to the transient nature of bustling humans. One of the largest organizations in vending, the National Automated Merchandisers Association (NAMA), offers many small businesses the tools to succeed as well as represent the interests of the industry by lobbying. Do not underestimate the usefulness the collective bargaining power generated by NAMA provides our industry, and the advantages they can provide you. 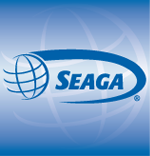 Training videos on vending provided by Seaga, the leading producer of vending machines world-wide.